This is your chance to own a paid Android App for free and that includes some pretty costly games and Apps. If you own an Android or Amazon Kindle device, you can download up to 29 paid apps for free from the Amazon Appstore thanks to a new promotional offer. You can start downloading the below mentioned Apps and games for free from now itself as the the promotion has already begun and will end Saturday, August 2 at 12PM IST. 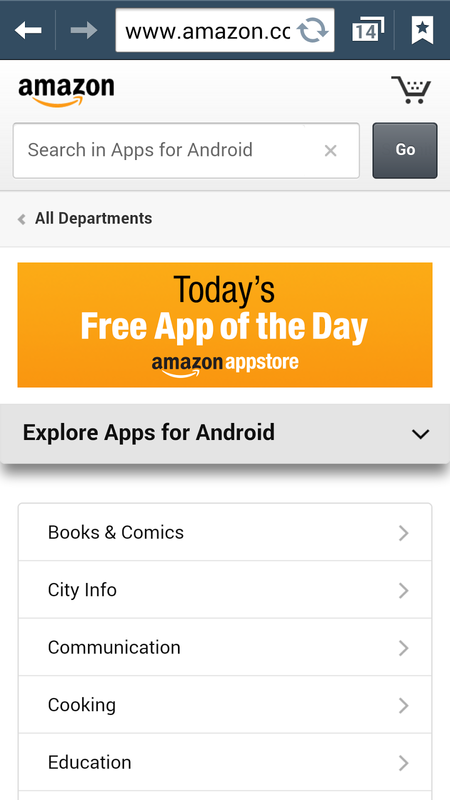 Amazon today released a press statement announcing it will be giving away paid Apps worth over $100, for free as part of the Free App of the Day programme. Most of these Apps and games are currently available on Google Play as paid games and are very costly. So this is your chance to get them for free. Amazon believes that this promotional event will eventually increase the footfalls on its Appstore which is not hit among users. Also remember these free Apps are for both Android as well as Android Kindle device users. However, regular Android phone and tablet owners will have to download the Amazon Appstore to get the below mentioned Apps and Games for free. Normal Android smart phone and tablet owners do remember not to uninstall the Appstore after availing this offer as the Apps you download through this offer may not be updated in case you uninstall the Amazon Appstore. The best of the lot which I liked is Oxford Advanced Learners Dictionary,8th edition($29.99) which will be available for Free. Todays free App is the Shuttle + music player app which costs $0.99 or Rs 55.89 on the Play Store. HOWEVER you can download all the below mentioned Apps and Games for Free. Just enter the App/Game name in the search box and you can get it for free. Go here and download the Amazon Appstore from Google Play, NOW to avail this fabulous offer. Amazon Kindle users may install it normally but normal Android users will have to unclick settings > Unknown sources to install the Appstore. Be sure to revert the setting after installing the Apk. Remember you do have to set up a Amazon account if you already dont have one. Also you have to provide Credit Card details. The Free Apps do take a lot of fun away doing all this unwanted things !!! Only thing- I don't have a Kindle. This is not for Smartphones, right? Error msg- "Post doesn't exist"